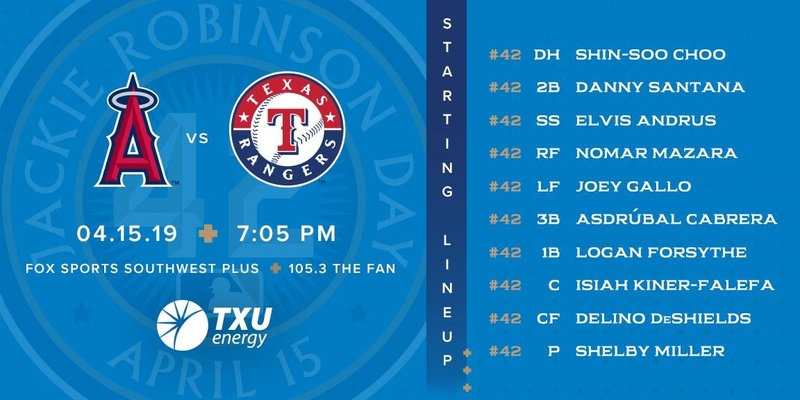 Home » Texas Rangers » Unlikely. 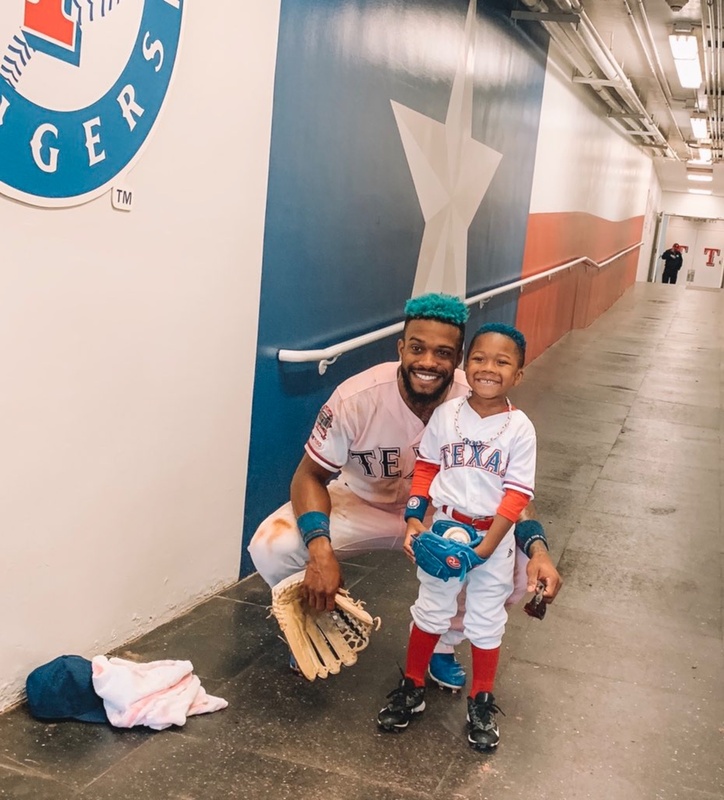 Oakland’s third baseman Matt Chapman was playing back which allowed the Rangers runner at third Danny Santana to take a much longer than usual lead which allowed the Rangers hitter Delino DeShields to execute a perfect sacrifice squeeze which allowed the winning run to score. A sacrifice squeeze. To score the go-ahead run. With two outs. A comeback from five down. A lot of things we might not see all season we saw in one wonderful, thrilling, unlikely, amazing game. If only they played every game in Arlington. The Rangers, down 7-2 after four innings, came roaring back for the third time in eight home games. They were down 6-3 in Game 2 of the season and won 8-6. They were down 5-0 in Game 3 of the season and came back to win 11-10. But yesterday’s was even more unlikely. Not because of the size of the deficit they overcame but the way they did it. 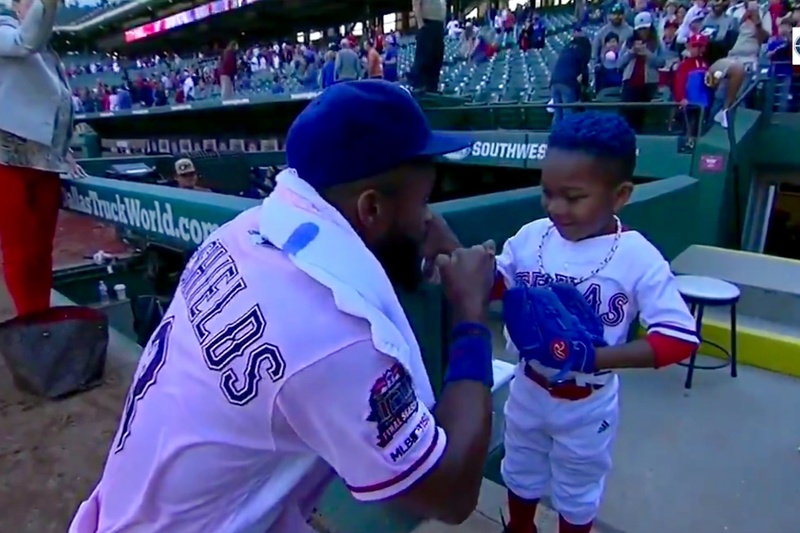 It started with Elvis Andrus, as most things this season will. He took over for Adrian Beltre as Team Leader/Franchise Face/Miracle Worker/Shoulder Carrier/At-Bat to Watch. All he did was triple in a run in the first. Then steal home right after that. Draw a walk. Hit a home run. Then a single. He’s batting .414, second-best in the league, with an OPS of 1.088. You might go a week without seeing a triple. The Rangers got two in one game. Danny Santana made a grand entrance with the biggest hit of the day, and the way his career has been going lately, the biggest he’s had in years. His triple into the right center Bermuda Triangle drove in two runs to tie the game. Then, with two outs, possibly the most unlikely of thing. It surprised everybody in the Ballpark. Including the nine players in green on the field. Delino DeShields, with two outs and a 1-and-1 count, noticed Oakland third baseman Matt Chapman was playing deep. Chapman, a gold glove fielder considered the best defensive third baseman in the American League, had, inexplicably, committed two errors already. 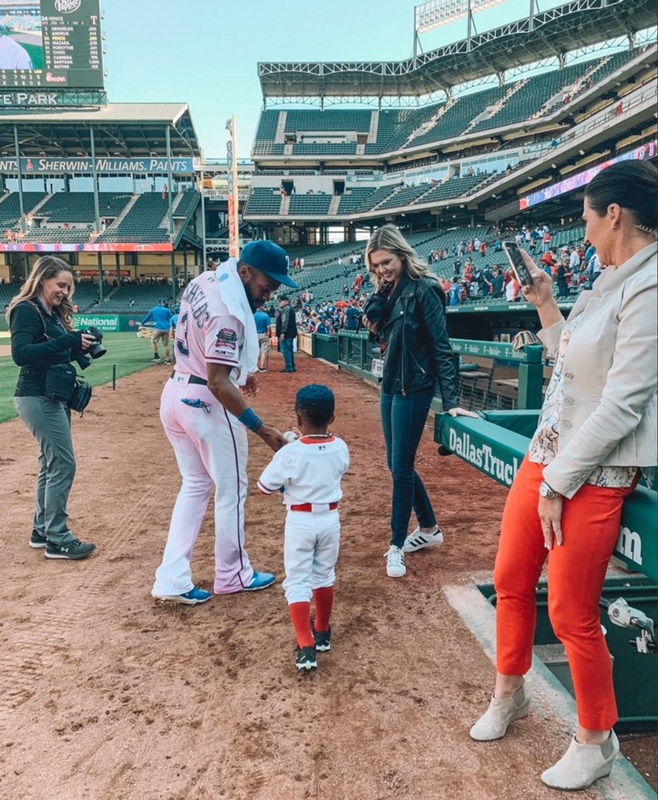 DeShields decided to test him. He laid down a perfect bunt, Danny Santana read it perfectly, Oakland’s illiterate defense couldn’t read it, and all they could do was eat the ball and wonder how they just let the game slip away. 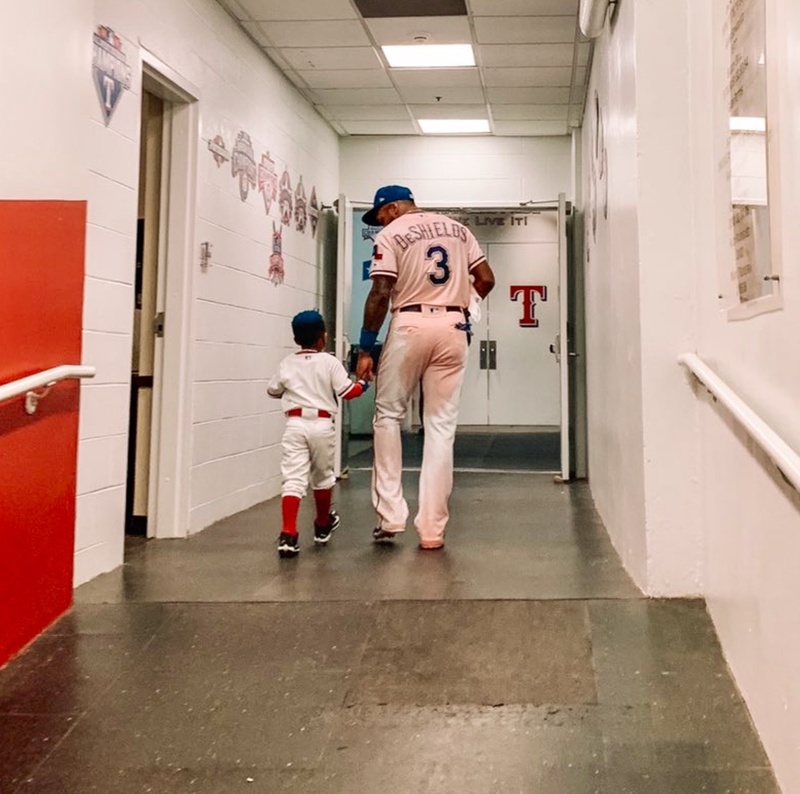 It was a huge win for the Rangers for a lot of reasons. It got them back to .500, which just feels good. 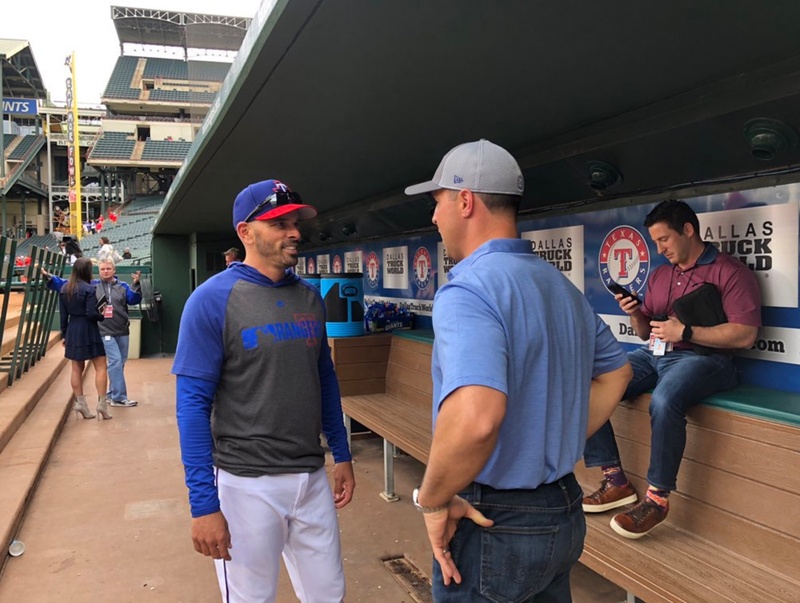 It kept them from going 1-6 in their last seven games (2-5 isn’t October material but it’s better than 1-6), it saved another bad Rangers pitching performance, and it provided Rangers Nation with one of the most downright enjoyable games ever. 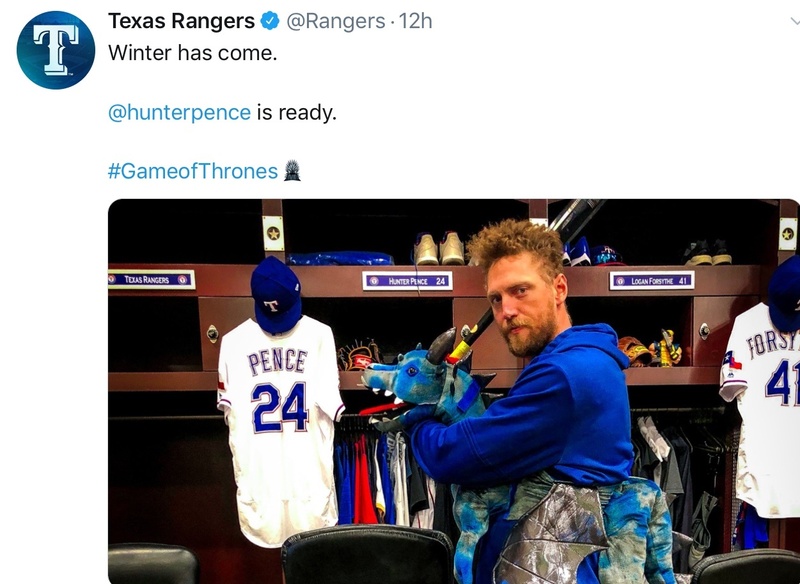 One Sunday before Easter the Rangers may have resurrected fun in Texas baseball. Good morning everyone! Here are the pics from over the weekend. Refresh. Have a good day! 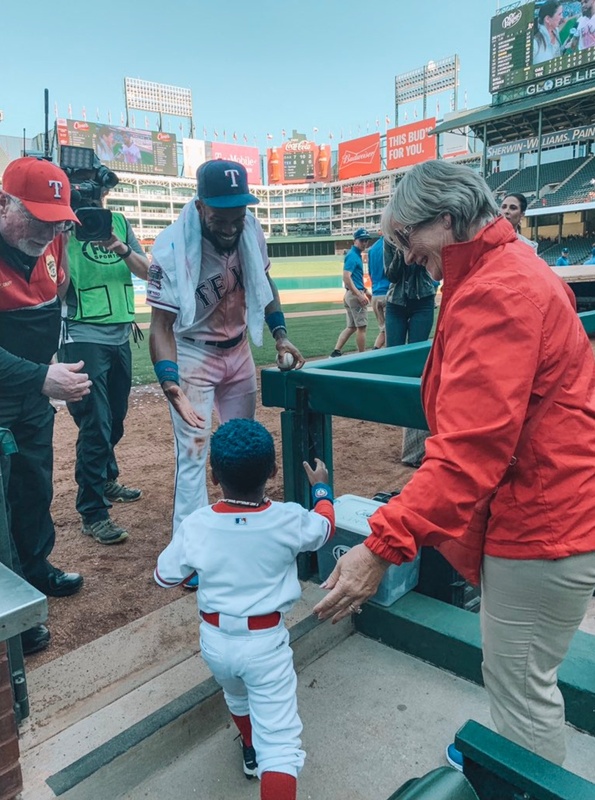 IKF, It is always so nice when we learn first hand, that someone who we admire is worthy of our admiration, not only on the field, but off of it as well! It’s great these guys take time to great the fans, especially the little guys and gals. Good article Kev! This game was indeed, “The Elvis Show”! Wow! 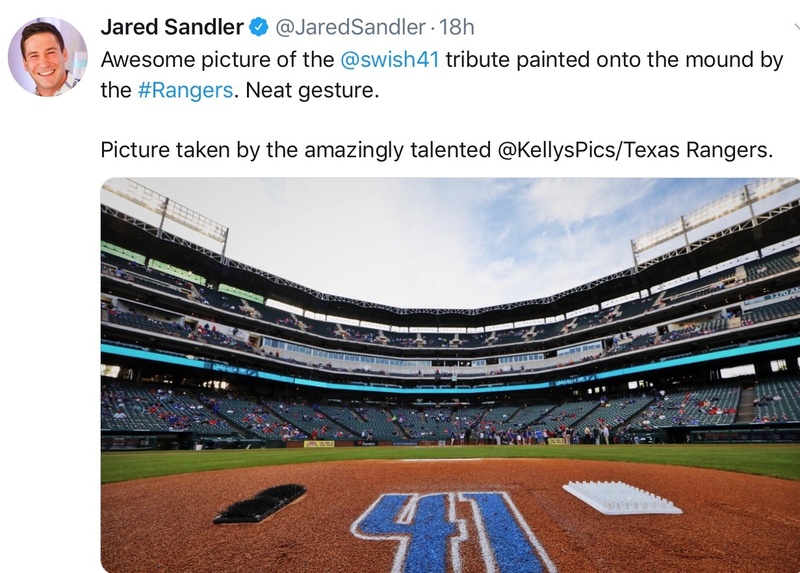 And overall, except for the starting pitching, (Samson must have gotten a haircut just before the game) I think this has to be one of the most well played Rangers games I have ever seen. But in Samson’s defense, I do think he probably had a case of the “first big league start jitters”. And he probably also got rattled by that first home run. But I do think his past numbers indicate he is better than that. But we also know not all good bullpen guys can make the transition to being an effective starter. Time alone will tell. Kevin, as usual, you’ve written a great summary of a great game. I hope folks don’t ever take it for granted. I won’t. 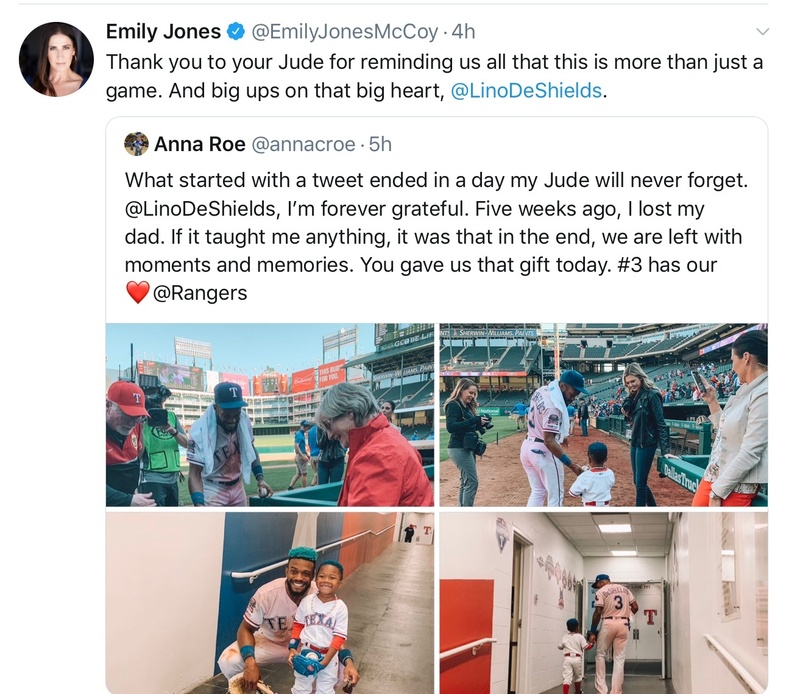 Some folks did not realize how important Elvis is to this team until he missed most of last year and the team missed him–big time. Yesterday was showcase for this multi-talented player. I don’t know how he ranks with defensive metrics. I would think he is certainly better than average. But at the plate–there is not a SS I’d rather have, although there may be one somewhere that does more. I don’t care. Stealing home takes much more than speed. One has to be watching a pitcher’s tendencies and how much attention others are paying to him, the runner. They were not watching. Elvis was. Triples are rare. Only in the park HRs offer more excitement as far as a hit is concerned. But then, there is one other play that rivals those. Not to correct you, but it was not really a sacrifice squeeze, since with 2 outs, no sacrifice can be made! It was rarer than that. A squeeze bunt for a hit(with 2 outs) that got in the winning run. THAT takes guts, speed and paying attention to the game. DD showed again how valuable he can be. And then Leclerc was able to get his moxie back. That was sorely needed. 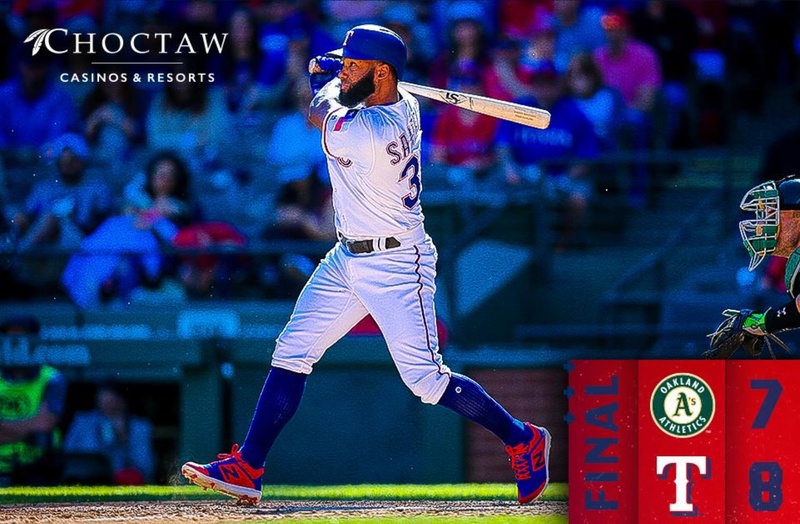 A great game for the Rangers who showed that they can play ball without the long ball being the focus. Thanks, Nate. I appreciate the kind words. None of us take Kevin for granted. That’s why we pay him so much and award him such great benefits. I mean, he just took a week vacation last month and might take another week next year. Suggest you buy his book, “The Midol Diaries” as that’ll put another couple bucks in his pocket and will also make you laugh like you’ve never laughed before. Though you probably do need to be married or have been married and had kids. What are The Midol Diaries? Is that new? I have Dear Midol and it’s a riot, but I don’t have the Diaries. He just remembered it wrong. But, dammit, now I have to write a sequel. I will get it. Knowing his sense of humor, I am sure I will literally laugh out loud in reading it. I have the prerequisites that you mentioned. I did not know about it. Thank you for telling me. You are right about the salary and benefits. We might need to work on that. Like I used to say about my non-existent Christmas bonus–it’s going to be twice as much this year as it was last year. If you are inclined to get it, thanks. It’s called Dear Midol, and you can find it on amazon.com, or at dearmidol.com. How could I have forgotten the name of the book? It was just 3 yrs ago I read it! Senility is ugly. Though I think “Midol Diaries” might be an even better title! Feel free to use it for your next book. $16.18 with tax included on Amazon. Thanks, Rowdy. I really appreciate everyone’s continued support on this site. Horrible. One of the most beautiful and iconic places in Europe. A truly awe inspiring reminder of what a great country France once was. And how inept France is today. Macron has just said it will be ‘restored’. Really? You can’t ‘restore’ hundreds of years old items. They’re gone forever. A sad day for the world. That’s a total tragedy. According the the reports I have heard the authorities say “they don’t know how to put it out.” You’d think they’d have had at least one contingency plan. Utter stupidity if it’s true. Think of all the irreplaceable art works and stuff that’s being ruined. Even stupid me keeps a few fire extinguishers laying around. Of course I’d probably be ahead of the game if I just let this joint burn and start over without all our “stuff.” Good grief the History that’s going up in flames. There’s no excuse for not having a plan of some sort. They have had plans in place for years. There’s even a dedicated reservoir just for Notre Dame. It’s just hard to get enough really big and heavy enough equipment down those narrow streets and past all the gawkers in time to stop a blaze once it gets going. I was thinking more along the lines of pre-installed fire suppression systems. Halon, CO2, whatever is appropriate for the particular area. Yep you think they’d have had some of that too. But it’s France. Not exactly forward thinking. The French Govt is now blaming the tourista gawkers for running to the area to watch and ‘blocking’ the equipment. So …. go in with the fire trucks and turn the hoses on the tourists if they don’t clear the way. It’s just water on them but it might could have saved the cathedral. Rebuilding the edifice doesn’t replace the irreplacable items lost. Without them it’s just another big church. Heck yeah! They use water canons on demonstrators, why not on clods that are getting in the way of emergency crews? Are you finally drinking Elvis Kool Aid? I’m amazed by your writing today and by Poss giving Sampson the benefit of the doubt on his 1st start. (which, by the way, I agree 100%). Now I only need to Jake to post something positive about Elvis without mentioning the Houston Astros. It’s hard not to point out how dominating he has been the last few years just like it wasn’t hard to point out how disappointing he was the three or four previous seasons. Elvis is FANTASTIC and would make a nice back up to Correa!!! Not THAT is funny. And true. Oh joy! Gallo had in inner ear infection. I’m sure that helps his hitting immensely. It’s all cleared up on one day? Just what a batter needs, vertigo. I’m going to tonight’s game. I sure hope they are able to crank out another one like yesterday. Minor league games are a lot of fun. Trout is back in the lineup. Enjoy the game. Where will you be seating? My seats are in the upper deck, Section 330, but there will be plenty of empty seats to move down to. Might be tough to find you in the crowd. I have either forgottent the rule or didn’t know….in BB Do you have to declare injuries for the game? I have no idea and have no been able to find anything on the net. So, maybe there isn’t a specific rule. There are literally dozens of other fire retardants available. Some deliverable by air and some not. All that said, this particular fire is so localized air delivery by anything other than helo probably wouldn’t be feasible. Helo probably woulldn’t be feasible either due to updrafts from the fire and load limitations of helo’s. In short, they are in a fix. Time to come back again. N Dame cathedral gutted……saved the two towers……took 200 years to finished building. Some looks at repairs that have needed to be done a long time ago are embarrasing…but thats the French. Shelby does not inspire much faith. I’ll gladly accept being wrong. If he walks he walks, but don’t make a bad pitch. That not right…..used it in Mexico before???? Miller’s problem is he doesn’t look like he has an out pitch. Miller doesn’t belong in the rotation but then that’s really at least 2 of the 5 we started out with. Yep, his balls are clearly balls, and his breaking pitches don’t break enough. 49 pitches through 2 innings screams scared to throw a strike or incapable of throwing a good one. Looks like confidence issues. Give the guy a chance. Then scared to throw a strike it is. Let’s get the comeback started! That half inning was too quick. We need a 1-2-3 inning from Miller now. I’ll settle for a 0 run inning. Yep that’s what it reminded me of. I don’t care who gets it! Just don’t let it drop! DD’s glove of steel. How many times has he taken his eyes off the ball while making a catch and doing that. Several times every season. We need to score more than 2 now. What’s with RF? Oh the jet stream. Well that was fortunate . . . hope we can take advantage of it. Shhhhhh, Rangers crush aces so Cahill needs to be an Ace. Woohoo, finally getting his pitch count up. Wow …. Joey crushed that ball. i think that would have been out in pretty much every park. It’s Miller time now !!!! Okay Shelby’s nemesis is here . . . the dreaded 3rd out. Well how about that DD caught a fish. Let’s hope he is better tonight. It’s a shame the Rangers didn’t wear their red jerseys we need some unnecessary complications. What you call a wild pitch with nobody on base? Shelby gave up 4 run in 4,1 innings(so far) and his ERA went down. Conserve pitches if you can! Well . . . Howdy Dowdy. As long as he’s consistent between teams its fair though. I really wish I knew. My house is full of very loud young men who won’t stop talking. 😡 My youngest keeps asking me when we are going to watch something else. He has asked about 500 times. I’m about to throttle him! Nomar is due to start hitting sometime. At this point I’ll talk a fly ball just about anywhere. The First pitch could have been the first. Without the shift that’s a double play. I’m reminded of a few years back when the Rangers couldn’t wait to put the ball in play usually to their detriment. Lots of 10 pitch or less innings it seemed. Hah … even Nomar knows he’s too slow to make it to 3rd. Do that again just five feet higher! Boy the Angels are lousy defensively. Have looked like a high school team tonight. Any decent throw just on the plate and Maz was dead meat. Trout the only one that can throw. Angels pen may be good but they’ve still been coming into games early like ours. Starting to get warn out. Nice clutch hit DD! That’s a couple clutch hits by him the last couple games. 2 More of those Dowdy! . . . No that wasn’t a one pitch out. Remember when Gallo was considered a trade chip because the Indians were interested in a consistent LF? I member when he was consider by some to be a “total chump”. 🙂 And maybe the jury is still out on Joey. But he seems to be improving his approach at the plate in small increments. Feel free to take your time and Heal up Rouggie. We’ll let you know. lol. WKscs! I haven’t wanted to start a row by bringing it up. But I ain’t missin’ him right now. single – steal second – single Repeat 3-4 times. repeating it will take care of that. We actually did this exact thing a few years back vs the Angels just after Cruz was suspended. 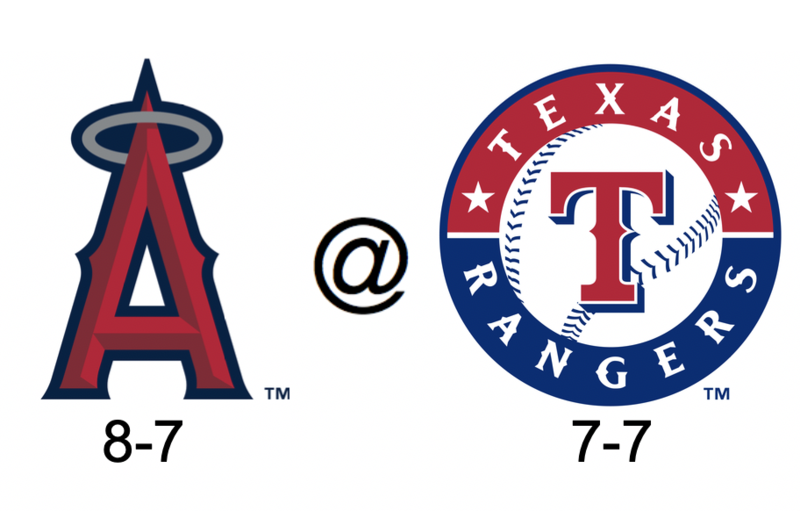 So maybe if the Rangers can give the Angels a good old fashioned drubbing, it would help to break the “Angels Jinx”? I’m just hoping they are saving some runs for the rest of the games in the series. ha! ha! You are on a roll tonight! Nadel mentioning that the Rangers may need to find a way to keep Santana playing, when Roogie comes back. ha! Good point! Mr C! Drub ’em! Club ’em! Plug ’em! Bug ’em! What a pick Cabrera has been. ! Yes! He is stopping up the hole Beltre left very nicely! This could be the most runs scored be the Rangers in a game this season since it’s only the 6th. 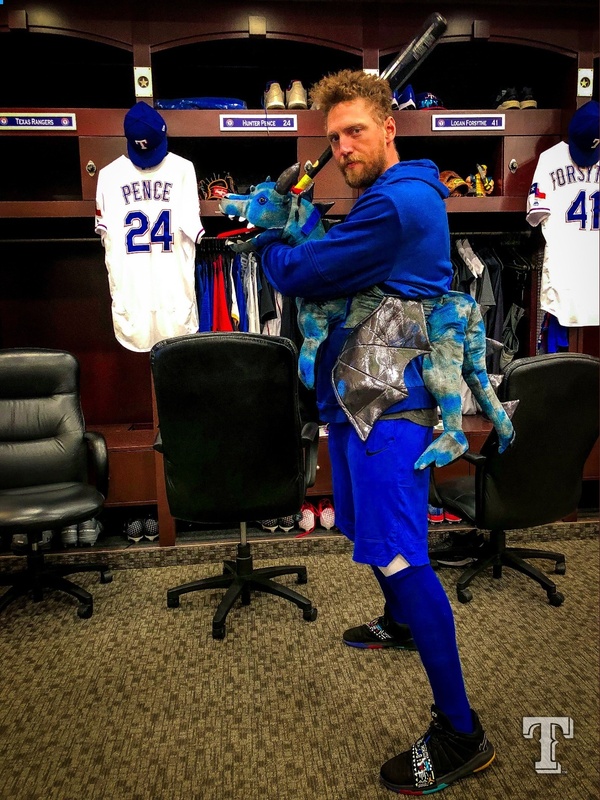 Put Pence in . . . just to get some play time. Keep hitting them. Maybe they’ll get to a position player pitching. I feel better now . . . turning the game on to the bottom of the first to see 3-0 wasn’t great. When it comes to the Rangers Realism and Pessimism seem to run intertwined. That’s typically where I am. Do the Angels still have Harvey pitching? I want him to start tomorrow. Get rid of the tobacco Dowdy. If it’s gum though keep going. Dowdy looked Doubty, against Trout. Hit it to Cabrera for the Triple Play. DD has the tools. But he often seems a step or two late from being a premium center fielder. 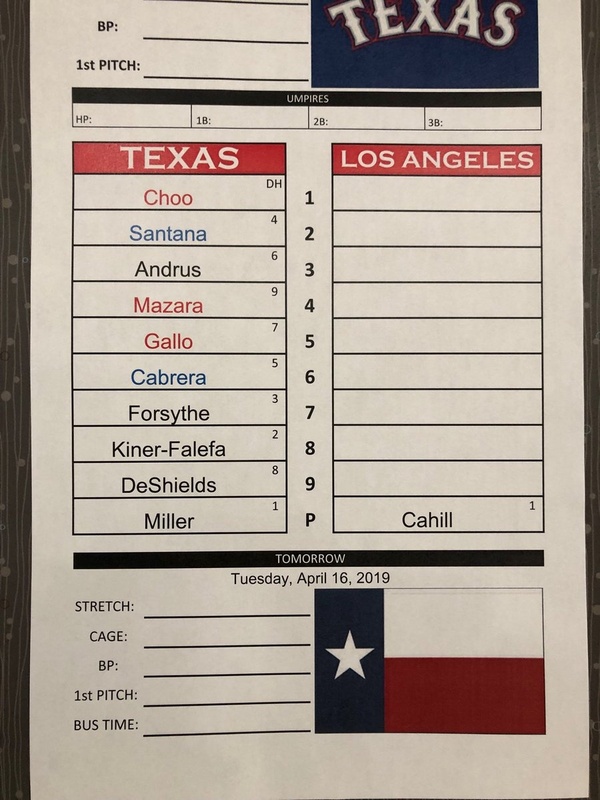 Rangers get TBD and Matt Harvey for this series. Too many Angel Fans at the park with the cheering. Will we see another Angel Pitcher? Curtiss is in Save the Pen mode. Remarkably low bullpen usage despite the starters basically going about 4 innings each. Come on Bird just a few more pitches. 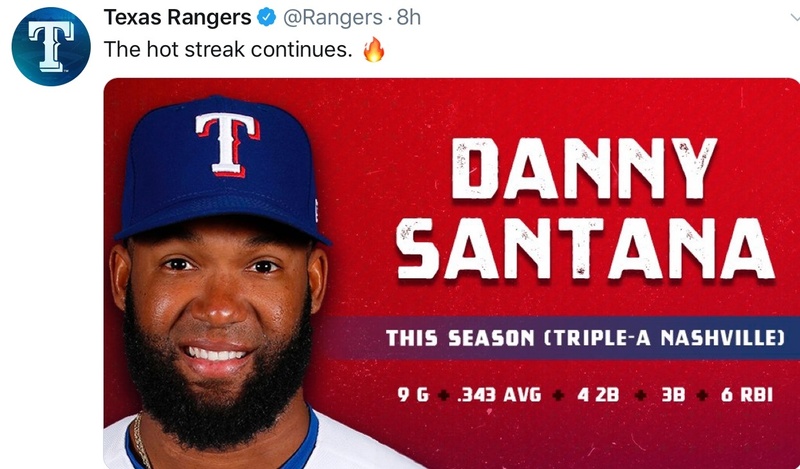 Isn’t he the one that got Beltre out of a game for moving the on deck circle? Well lets get the 1 out save Jose. Don’t think it’s a save with a 5 run lead. It was a save because the tying run was in the on deck circle. What a great pick by Forsythe. Leclerc still has some hickups it feels like. After he got canned from the coaching staff. OWWWWwwwwwOOOOWwww!! Dodger got hit by pitch . . . directly on the knee. Darvish got his first win since last May.